***Please Note***Due to our limited capacity at our hostel, we do not accept online bookings from locals, India and Middle East countries. We accept walk in check in only for these countries and it is subjected to the room availability. 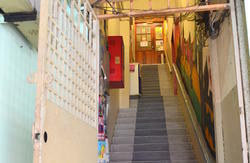 Reggae guesthouse located centrally - in the heart of China Town. Internet/Wi-Fi, FREE breakfast, HOT power showers & much, much more. 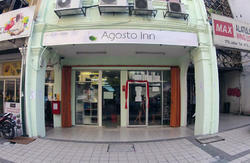 We are a luxury guesthouse located within walking distance to everything you may need. Next door to the famous Reggae Bar recommended by Lonely Planet. With Chinatown on your doorstep you will never run out of things to see and do. Sights, restaurants, bars, shops, the local market and public transport are all at your disposal. This is an ideal tranquil spot to take a break from all the action. Our aim is to provide you with a personal service, modern, clean and comfortable rooms in an urban, funky and contemporary atmosphere. Our friendly and knowledgeable staff is on hand to help you 24 hours a day always maintaining our high standards. Whether you want to socialize with fellow travelers or just chill out in our comfy lounge area we want to make your stay in KL as memorable as possible. including group city sightseeing tours,diving etc. From Low Cost Terminal (LCCT) - Take AirAisa SKybus/Aerobus to KL Central Terminal - approx 75 minutes - RM9(subjected to change). Change to LRT train one stop away to Pasar Seni Station - approx 5 minutes - Rm1(subjected to change). Walk across the road towards Maybank/7-Eleven take your first right here. We are directly in front of you at the first traffic light junction - approx 3 minutes. From KL Internation Airport (KLIA) - Take KLIA Express train to KL Central Terminal - approx 28 minutes - RM35 (subjected to change). Then same as above. Alternatively taxis from KL Central take approx 15 min - RM10 or less (subjected to change).